Guest registration for DDW Tour, Dinner & drinks. 23rd October 2018. The ticket includes your DDW entrance fee to Sectie-C, guided tour, welcome drink and 16 course dinner with wine pairing. Payment in full is required before reservation can be confirmed. Tickets are non-refundable but are transferable. DDW Tour, Dinner & drinks. 23rd October 2018. 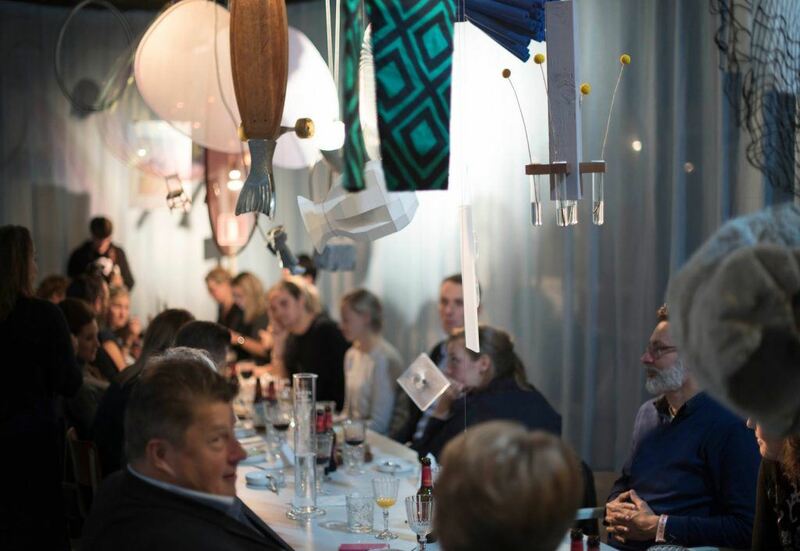 Every year the Dutch Design Foundation organizes the largest design event of Northern Europe. From 20 - 28 October, Dutch Design Week will present the work and concepts of over 2600 designers and welcome more than 335.000 visitors to Eindhoven. One of the official DDW location is Sectie-C, a creative terrain populated with over 250 creative people. One of them is a member of the NCCC and there she owns a gallery, Art Experience by KRL. 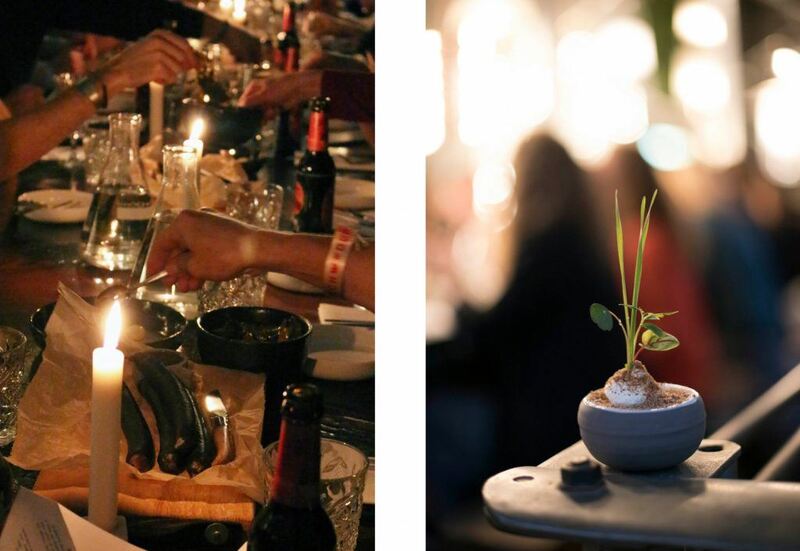 For this year’s DDW, she will be presenting the exposition, curated by Justine Kontou, and a dinner experience, initiated by design food studio The Eatelier and chef Pippens, 28 grams of happiness. For this special evening, our host will first give us a tour of Sectie-C. Following the tour, we will be treated to a unique welcome drink designed especially for the NCCC. Then we sit down for a fantastic culinary experience. This year, they are experimenting with happiness, and how to cultivate it through food. How does food impact our physical and mental state or even our senses? What does food do to our brain and can we anticipate the effects? Can we define the taste of happiness by optimizing the taste and the sensorial experience? Could we regard food as a bit of a drug, if we take a closer look at the reactions in your brain? Should we look at food the same way we would medicine or drugs, with the intention of improving health? A healthy body is a happier body, is it not? By translating scientific research into the world of food, Katinka and chef Pippens will answer these questions by creating an eye opening, educational, exciting, and sensorial dinner experience. The dinner will be accompanied by an exposition that will take us on a complete journey in the pursuit of finding happiness, and it will show us how design can provoke a sense of wonder, luck, content or gratefulness. The exhibition is set in the gallery Art Experience by KRL on Sectie-C and curated by the talented Justine Kontou, who’s skills lie in the cultivation of emotion through space and object. In addition, some Canadian produced pieces will also be featured. The dinner is set to 16 courses and invites (max.) 28 guests to take a seat at a long table. The courses will be served individually or on big platters to help get conversation started and have guests interact with each other. During the meal, Katinka and Pepijn will step out of the kitchen and elaborate on each dish and course. Guests will be handed a printed menu that gives an insight into the underlying research. The ticket includes your DDW entrance fee to Sectie-C, guided tour, welcome drink and 16 course dinner with wine pairing. Payment in full is required before reservation can be confirmed. Tickets are exclusive BTW and are non-refundable but are transferable.